Yarn Type From the same stable as our beautiful Harrap Tweed DK yarn. It has the same heritage of being inspired by Thomas and Henry Harrap who founded the original company, which in 1934 became Sirdar. Harrap Tweed Chunky has been inspired by the beautiful surroundings of the Sirdar Head Office in Wakefield, Yorkshire. Harrap Tweed Chunky is the perfect family yarn and our design team have designed 8 leaflets with designs for women, men, children and the home. These are timeless designs that you will want to knit and make time and time again. Machine washable. Wool Cycle. 40% Nylon, 30% Wool, 24% Acrylic, 6% Viscose. 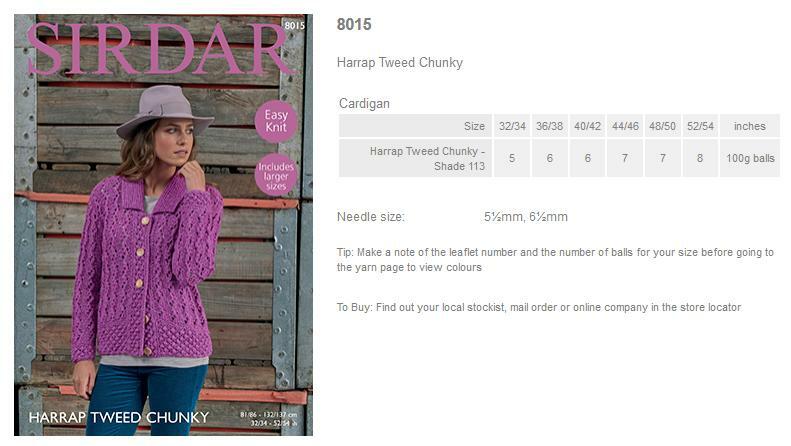 Leaflet with designs for a Womens Long Sleeved Cardigan using Harrap Tweed Chunky. 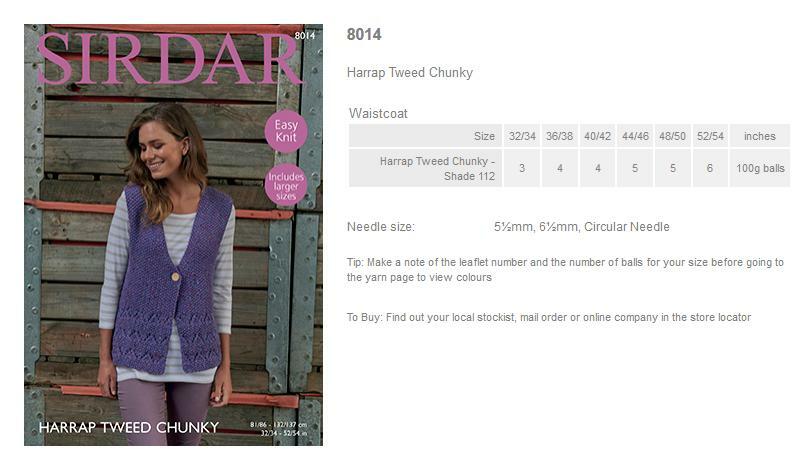 Leaflet with designs for a Womens Short Sleeved Cardigan using Harrap Tweed Chunky. Leaflet with designs for a Womens Sweater using Harrap Tweed Chunky. 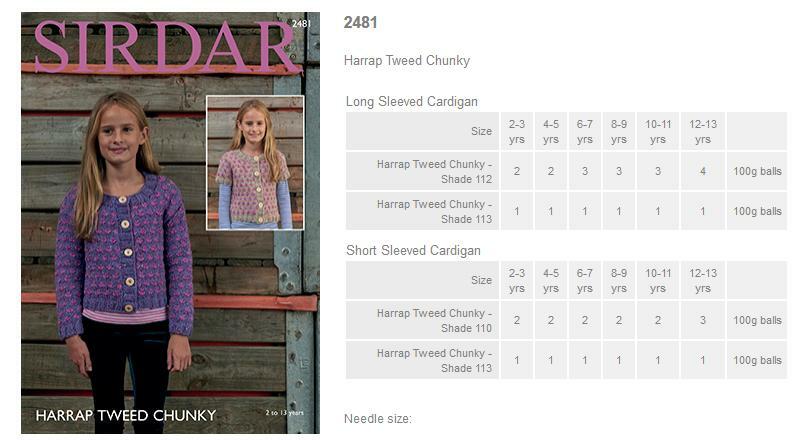 Leaflet with designs for Girls Cardigans using Harrap Tweed Chunky. 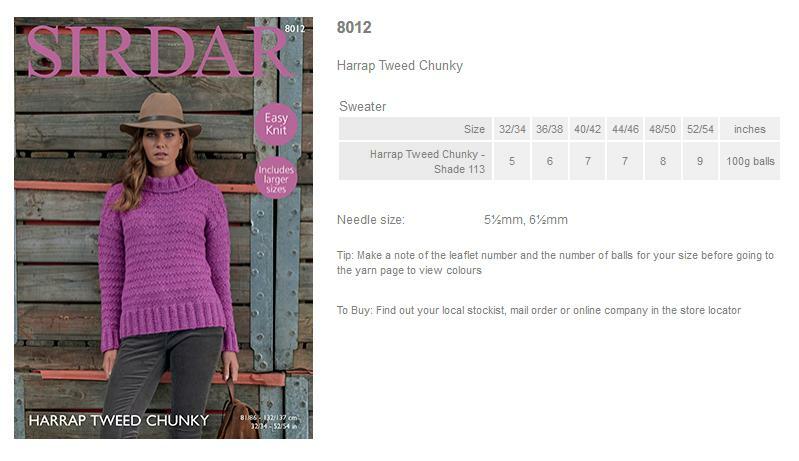 18 charming hand knit designs for all the family knitted in Sirdar Harrap Tweed Chunky. There is a beautiful cabled, long-line waistcoat for women, a cocoon stitch jacket and a gorgeous cabled poncho for women and girls and a whole host of beautiful accessories. Then for men and boys there is a diamond cabled sweater, trendy cardigans and cosy hats. Harrap Tweed Chunky also makes stunning homewares so included are a beautiful cable and bobble cushion cover and throw.